The cannabis industry is growing and lawyers and law firms are taking notice. The Chicago Tribune reported recently on the rapid rise in the number of legal professionals who are promising marijuana businesses they can help them navigate the complex regulatory climate that governs the burgeoning marijuana industry. While it’s good news for those who want to get into the marijuana businesses that they may soon have more knowledgeable legal advocates to guide them, it is also important for companies hiring to ensure they have the right legal help. An attorney who has just started advising marijuana businesses only because the industry is poised for major growth over the next decade will not have the same level of experience as marijuana business attorneys like the Cannabis Law Group, which has been working within this industry in Southern California for many years. Our position as one of the oldest firms practicing marijuana law has given our firm insight and real-world experience that newcomers to the field of cannabis law have not had time to acquire. The Chicago Tribune reports that lawyers from all different fields, from mergers and acquisitions to intellectual property and real estate law, are increasingly marketing their legal services to startup cannabis businesses. The cannabis industry is very attractive to lawyers, in part, because most startups and established companies in the marijuana business need help navigating conflicting state and federal laws. As more states legalize recreational and legal marijuana, rules differ from jurisdiction to jurisdiction. The fact cannabis is still classified as a Schedule I substance by the federal government also creates complications on a wide variety of issues, from taxes to banking to liability, which marijuana businesses need skilled advice to navigate. Attorneys offering services within the cannabis industry provide guidance on a wide range of different subjects, from helping companies to apply for cultivation or dispensary licenses to learning how to comply with differing rules as existing businesses expand to new states. Entire legal practices are being created within law firms to cater to cannabis businesses, and these firms are seeing intense demand for their services which is inspiring more attorneys to start taking an interest in advising marijuana businesses. For cannabis companies, this rapid increase in firms offering cannabis-related advice could be a mixed blessing. 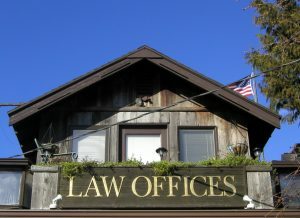 Yes, getting legal advice is important and it is good to have access to many professionals offering it. However, lawyers who are just beginning to market services to cannabis startups are learning about complicated, and often conflicting, state and federal laws primarily through classes like the ones the Tribune reports are being taught at the Chicago-Kent College of Law. No class is a substitute for decades of experience advising marijuana purveyors and cultivators as the marijuana industry grew from nothing to one of the fastest growing industries in the country. This is why those hiring a cannabis firm should ensure they trust only lawyers with a long track record within the marijuana industry.